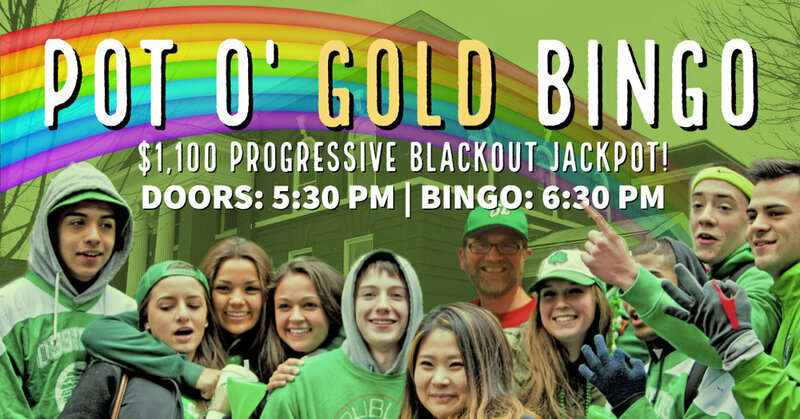 People from throughout the Green Lake County area and beyond are invited to show off their luckiest costumes at Pot O’ Gold Bingo this Saturday, March 30 from 6:30 pm to 8:30 pm at Town Square Community Center in Downtown Green Lake. Green Lake Renewal’s Jorge Gutierrez shows off his green hat for Pot O’ Gold Bingo! The 13-game series features a progressive jackpot prize of $1,100, plus a 50/50 raffle, door prizes, and plenty of family fun. Concessions will be available for purchase, including $2 Sheboygan hot dogs, chips, beer, and wine. The Wisconsin association for Home and Community Education (HCE) will be selling baked goods as well. Doors open at 5:30 pm at 492 Hill Street, Green Lake. Town Square Bingo proceeds benefit the community revitalization projects of Green Lake Renewal, the non-profit organization that operates Town Square, Green Lake Fitness, Green Lake Kitchens and Mill Pond Terrace. For further information, call 920-807-0008.